Back on the Market with a NEW ROOF! Modern Luxury Meets All The Comforts Of Home! 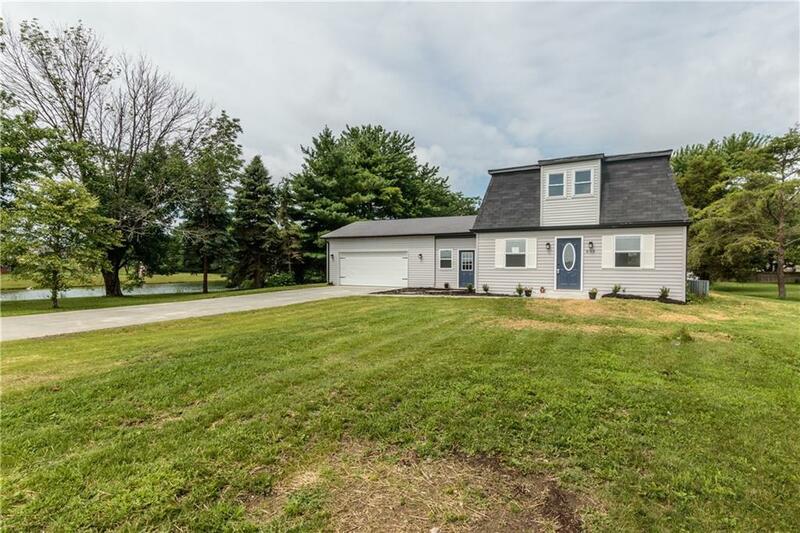 This completely remodeled rural home sits on .8 acres of mature trees, with a pond view in a country-like setting! You will love the main level luxury laminate floors as you enter the home, and the completely updated Kitchen with a New Oven/Range Electric, New Dishwasher, Microwave Hood, and Kitchen Counter Tops. The newly enclosed three seasons patio provides a sense of outdoor living and a breeze-way to your attached two car garage. Make this house your home and enjoy the gorgeous views and serenity of your private back yard!